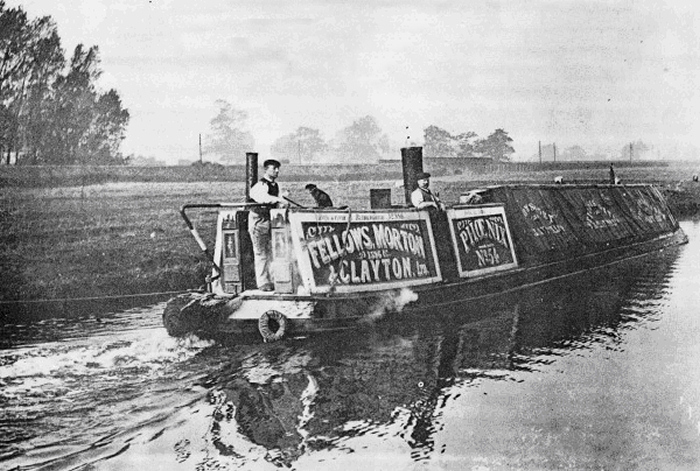 PHOENIX at Lock 11, Buckby in c 1910. Note the rope securing the boat to the lock, to keep the boat stationary while the driver increases the revs to provide a “moving” picture. Henry Millard stands in the engine ‘ole.